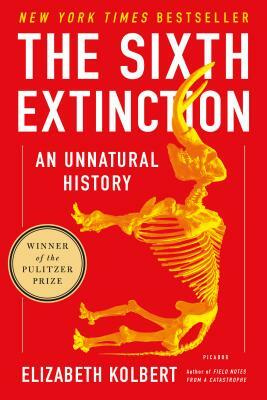 The Sixth Extinction: An Unnatural History (Paperback) | Eagle Harbor Book Co. Combining investigative journalism and personal observation, Colbert explores the world's five crucial and chaotic extinction events, and presents an ongoing sixth event, the Holocene Extinction. While applying the latest scientific data and theory, Kolbert maintains an informative and engaging narrative. She does not attempt to downplay either the situation on which she reports or her own responses in creating a satisfying and rewarding read. Highly recommended for fans of fiction and nonfiction alike!